Universally known as ‘The Greatest Rock ‘n’ Roll Band in the World’, they have sold over 200 million albums worldwide, with hits such as ‘Satisfaction’, Start Me Up’, Honky Tonk Woman’ and Jumpin’ Jack Flash’, to name but a few – all known the world over. 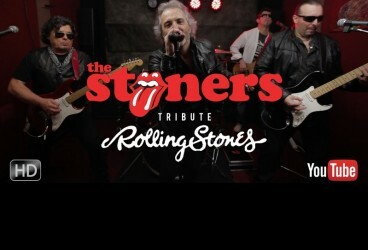 With all the energy and charisma of The Rolling Stones themselves, ‘THE STONERS’ pay an accurate and faithful tribute to the sound and look of an authentic Rolling Stones show. Far from being simply ‘look-a…likes’; the group also pay great attention to the sound and feel of the music, all performed with the same accuracy, passion, energy and verve of the originals. You won’t believe it but the STONERS will take you back to the Golden Age of The Rolling Stones!!! Special promo on Murphy’s Red pint all night and giveaways!! !